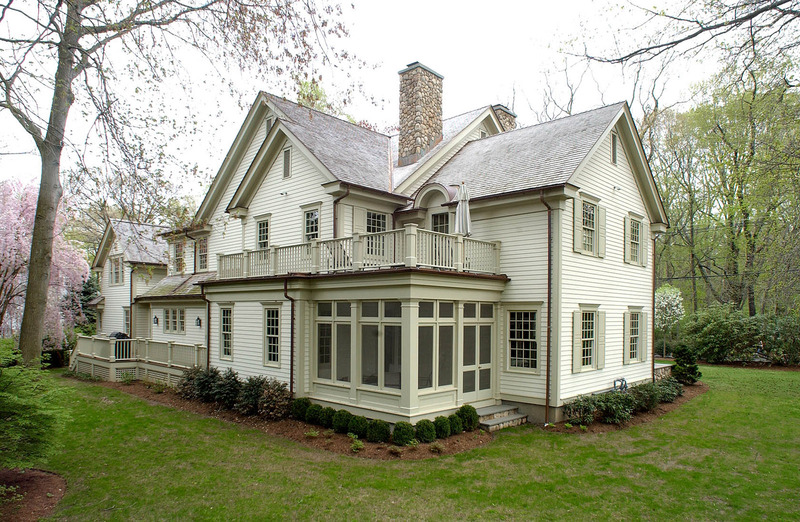 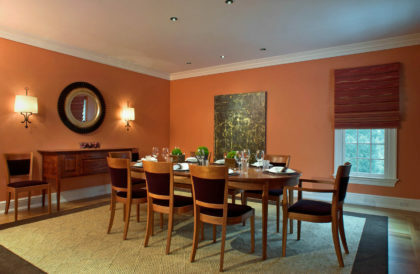 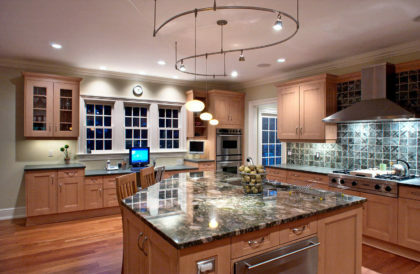 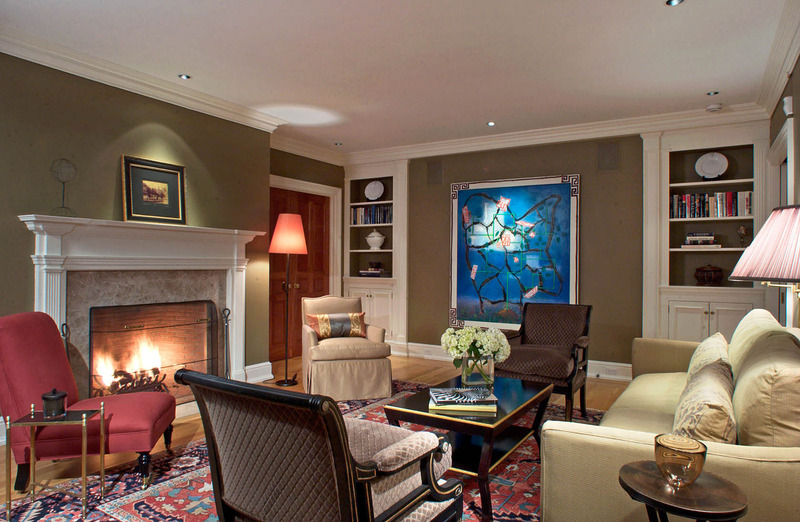 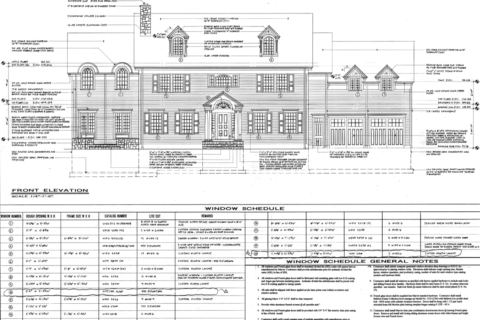 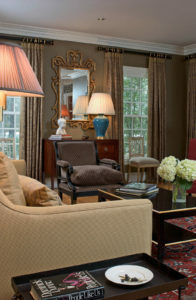 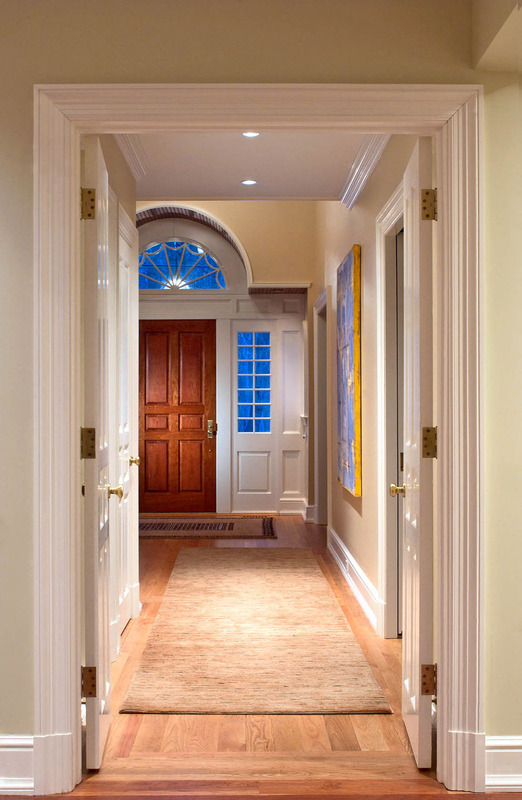 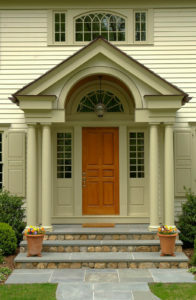 Replacing a 1940s vintage home in a well established residential neighborhood of Greenwich, Connecticut, this Georgian colonial was, in accordance with the client’s program requirements, designed with two personalities in mind. 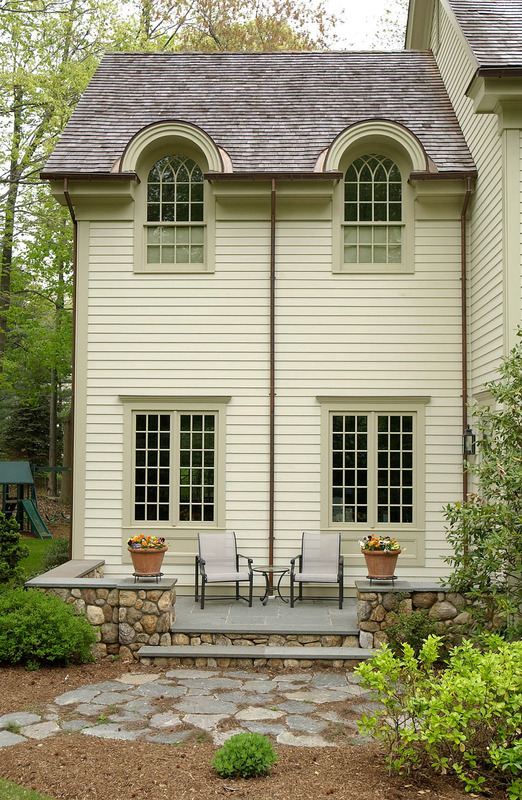 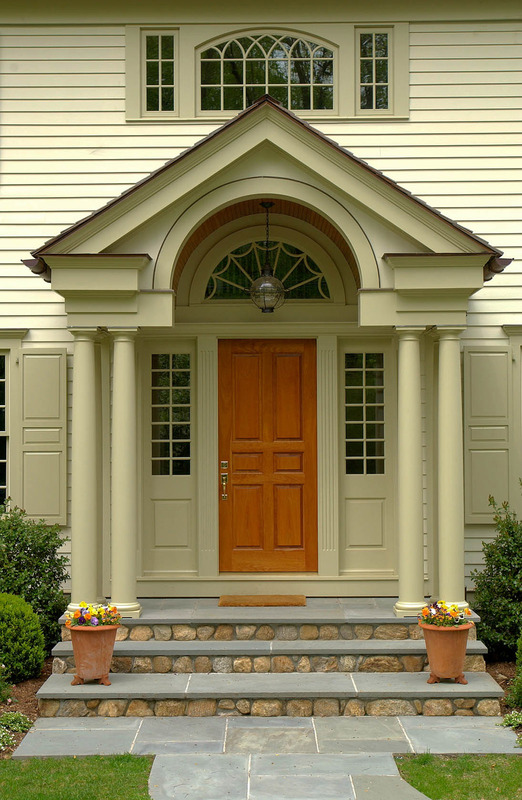 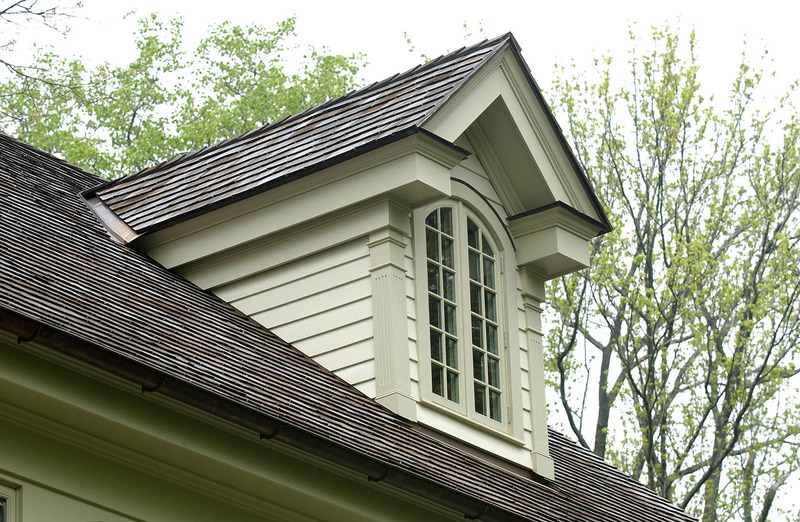 The classical exterior draws on the traditions found in many 18th century colonial homes – clean-lined simplicity, wood clapboard siding and cedar shingle roofing, proportioned multi-paned double-hung windows and varied roof dormers. 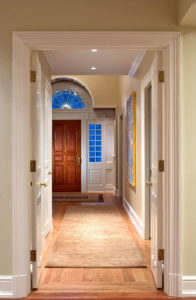 Special emphasis was placed on the entrance portico with the entrance door’s fan light expressed through a barrel vaulted ceiling at both the interior and exterior. The interior has a more transitional aesthetic, utilizing trim with minimal detail and painted wall surfaces in lieu of wall covering, to serve as a more appropriate backdrop for the owner’s collection of contemporary art.